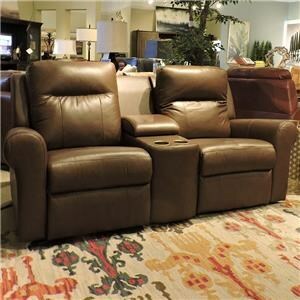 Casually relax at the end of the day on this reclining sofa. Charge your devices from the comfort of your seat with a USB port on the toggle switch for power reclining and an adjustable headrest. Rolled arms and full chaise cushions give the piece a simple, yet quality look that is perfect for any living room. 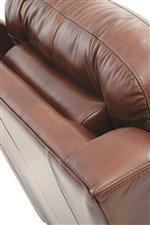 The Vega Casual Power Sofa with Rolled Arms by Palliser at Belfort Furniture in the Washington DC, Northern Virginia, Maryland and Fairfax VA area. Product availability may vary. Contact us for the most current availability on this product. 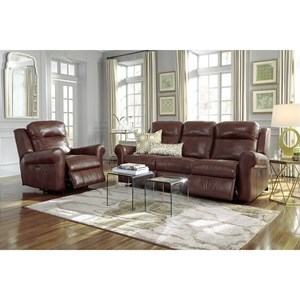 Enjoy easy-to-use and luxurious reclining with the Vega power reclining collection. 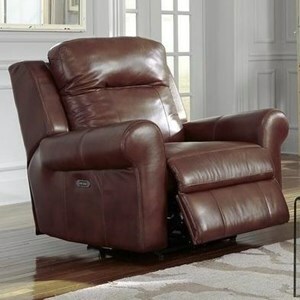 Each piece features power reclining and power adjustable headrests that allow you to utilize unlimited positioning for the most comfort possible. Charge your devices from your seat with a USB port in the reclining toggle switch. Rolled arms and full chaise cushions give each reclining piece a clean and casual look that will be perfect in any living space. A wide variety of cover options are available, so you are sure to match your personal style easily. The Vega collection is a great option if you are looking for Casual furniture in the Washington DC, Northern Virginia, Maryland and Fairfax VA area. Browse other items in the Vega collection from Belfort Furniture in the Washington DC, Northern Virginia, Maryland and Fairfax VA area.